Christmas baking time! Love it but this year I really have no time so have been cheating away by using Migros cookie dough. Which I am happy to say taste fabulous and there are so many wonderful flavours to choose from – smile! Still buying pre-made cookie dough doesn’t stop me from being creative. 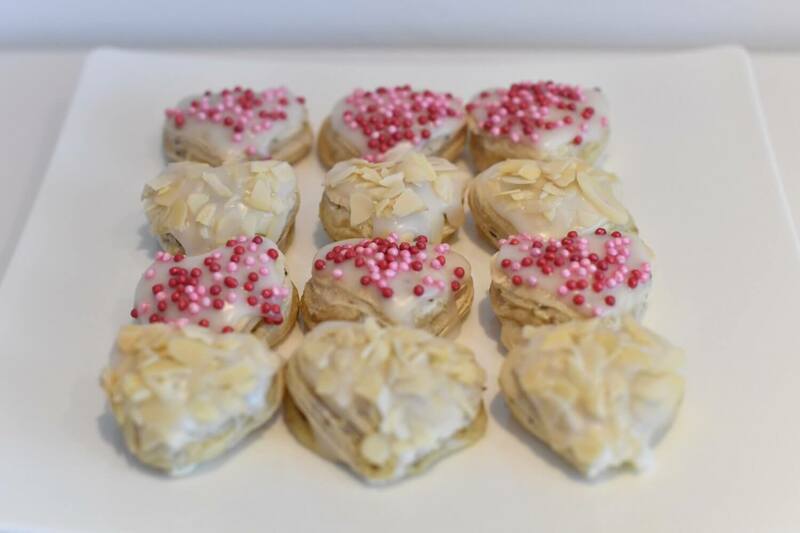 Check out these super Aniseed cookies with an Almond filling. They are going down a treat here. 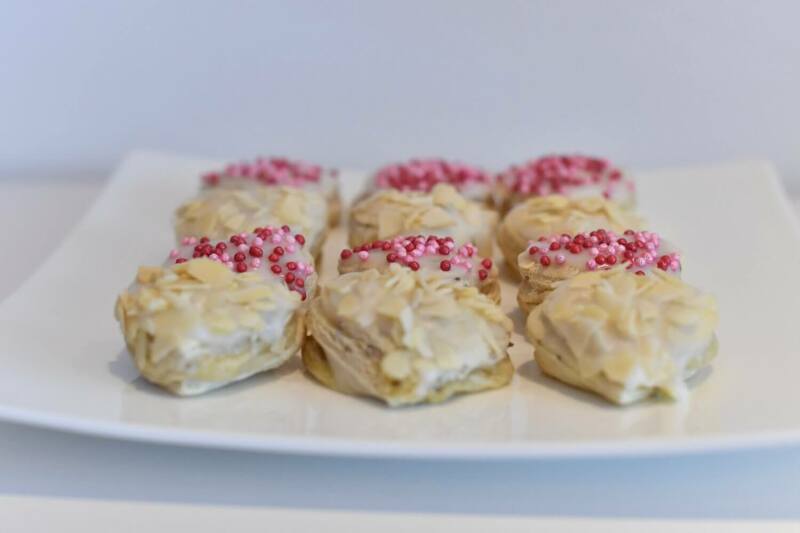 Keep reading for the Christmas Cookies with a Secret! 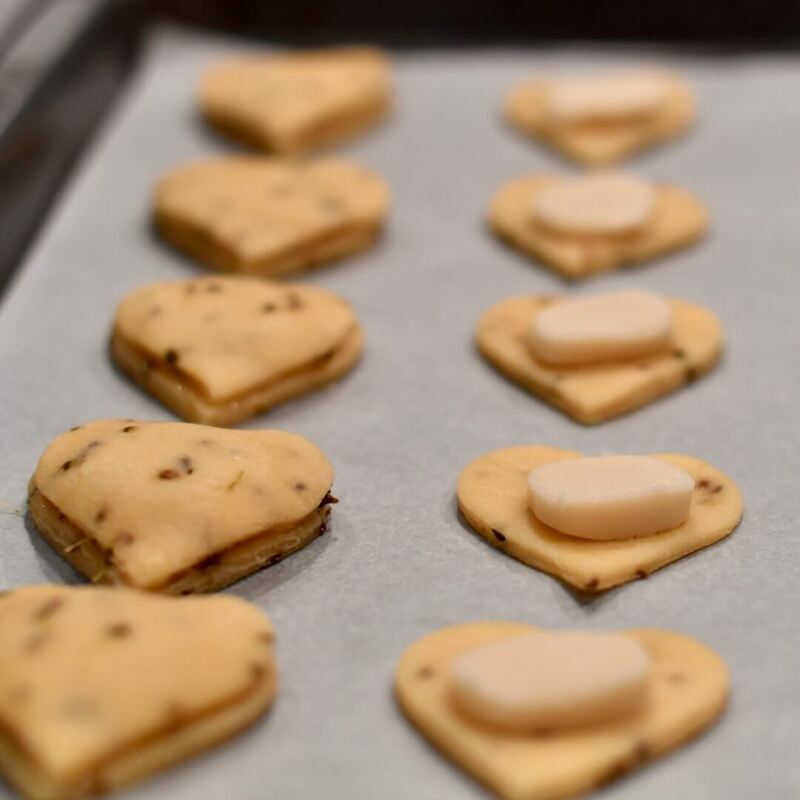 Roll pastry to approximately 2mm and then use a heart shaped cutter to create heart shaped cookies. 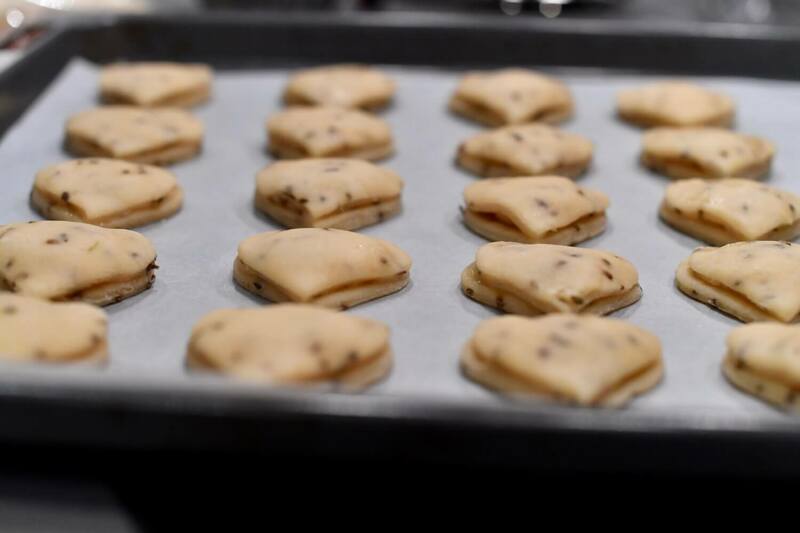 Place evenly on baking tray. leaving a little space between. 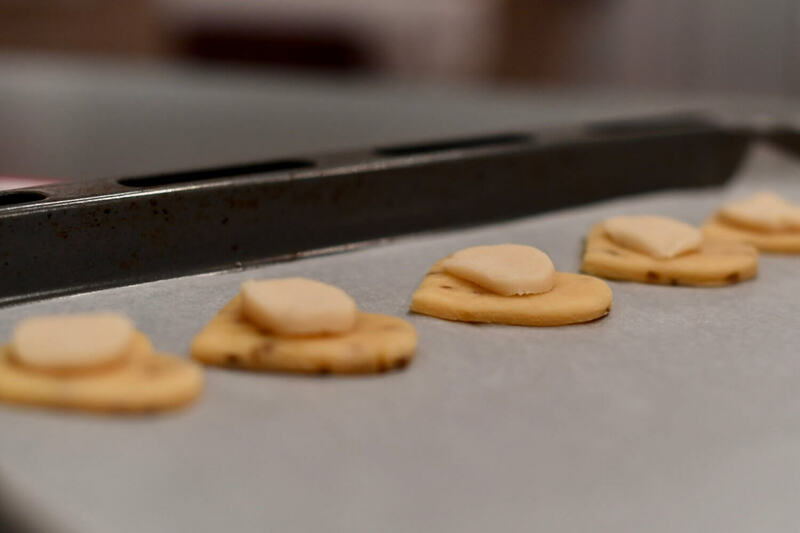 Brush edges of the cookie with egg white and then press a second layer of cookie on top – being careful to seal along the edges. 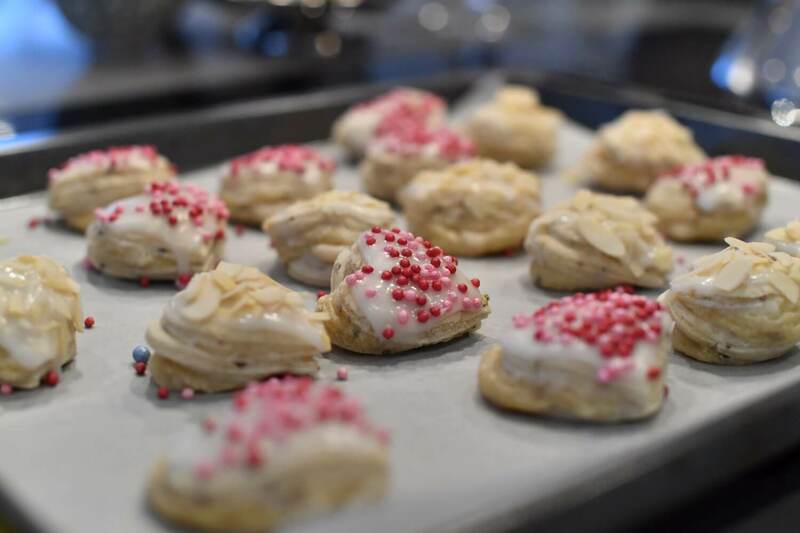 Once baked and cooled, brush a layer of icing on each cookie and then coat with slithered almonds or another topping of your choice. 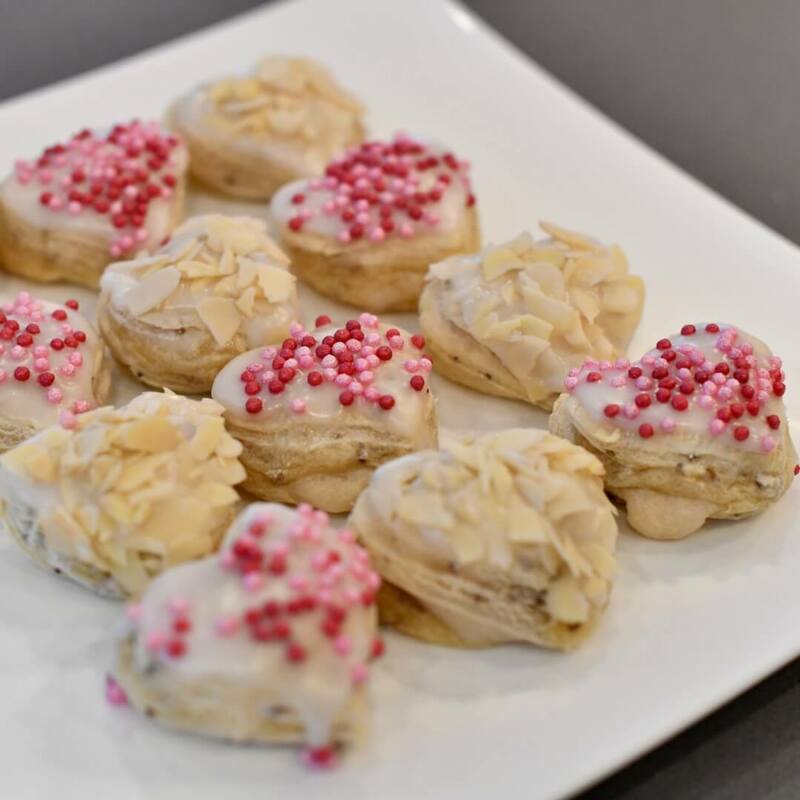 These cookies are sure to impress! 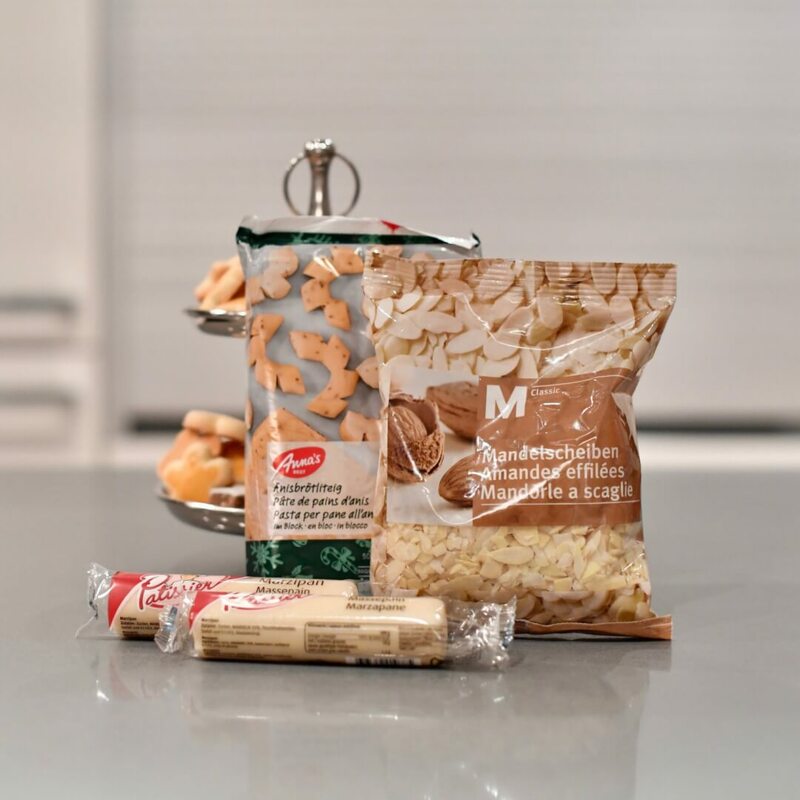 A huge thanks to Migros for collaborating with me on this post – I have been having sooooo much fun checking out all their Christmas treats! Check out Migros weekly specials here. Wishing you all a wonderful Advent time and lots of fun baking!